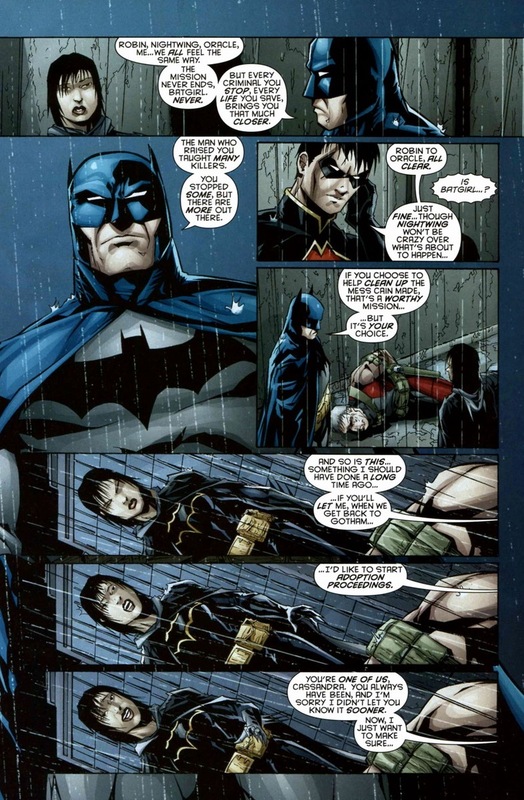 Cassandra Cain’s daddy issues. 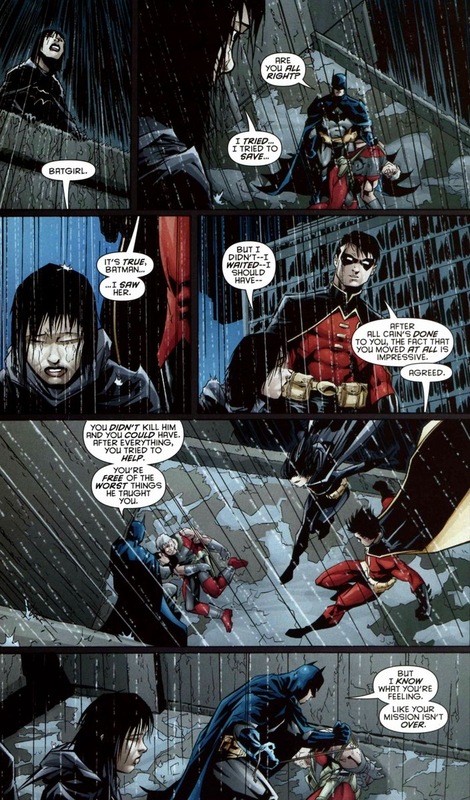 Because despite whatever problems Barbara Gordon has with her loving cop father or Stephanie Brown has with her minor supervillain father, poor Cassandra received the short end of the family stick. Her mercenary/assassin father David Cain raised her as a small child without stuff like language, toys, fun, happiness, etc. to essentially make her into a perfect body language-reading weapon. 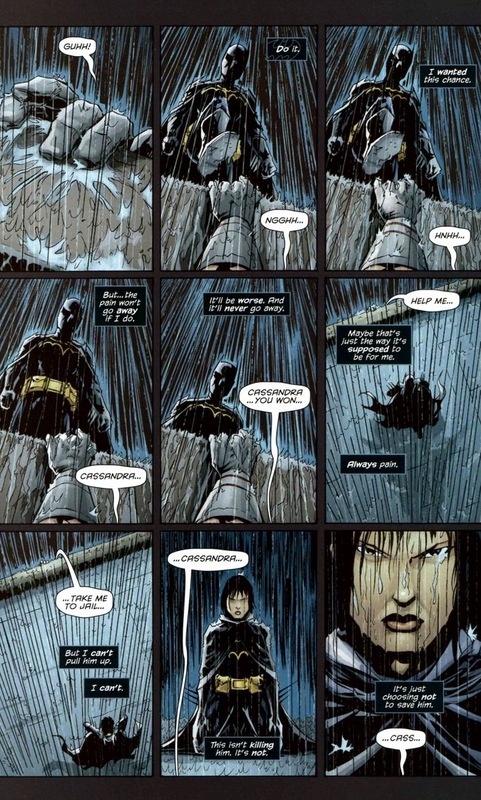 Perfect assassin upbringing, perfect assassin genes (her mother’s Lady Shiva), perfect plan — except for Batman. Now, our dear girl can talk, but all those lingering psychological traumas still exist wedged deeply in her psyche. 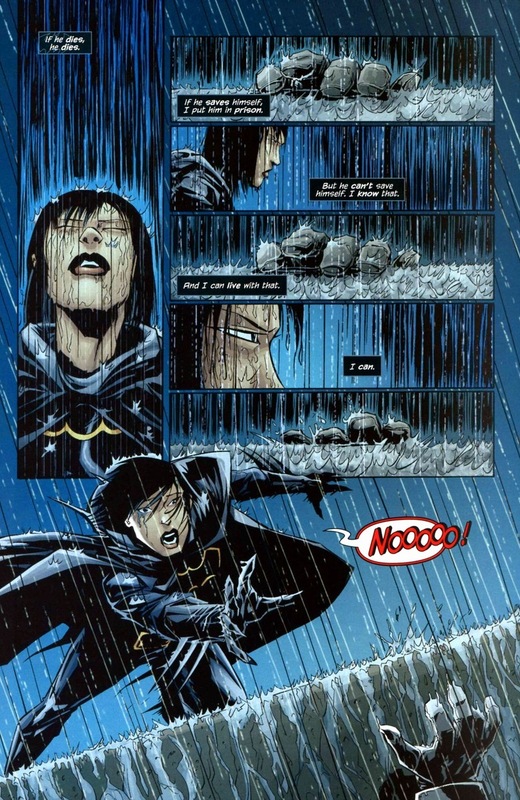 Until Batgirl #5-6, volume two, written by Adam Beechen and drawn by J. Calafiore. Time for some daddy problems to be solved. By punching. Always by punching. 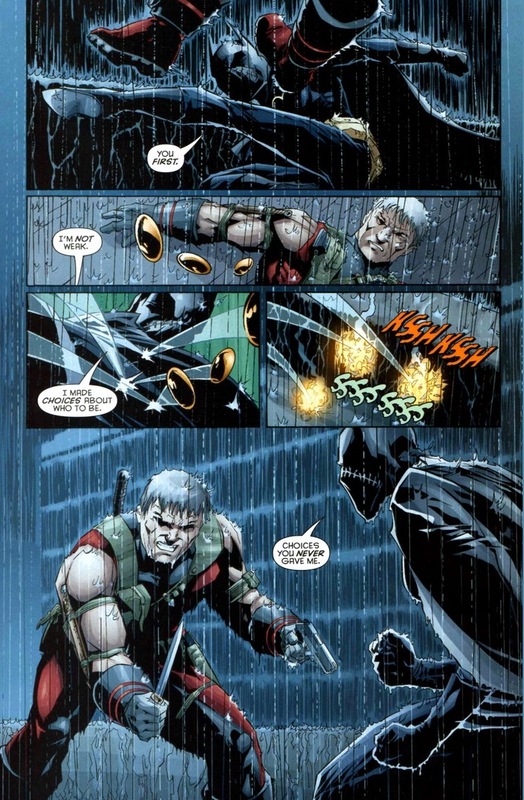 Think of David Cain as a duplicate of Deathstroke without the obsession of battling large groups of teenagers. 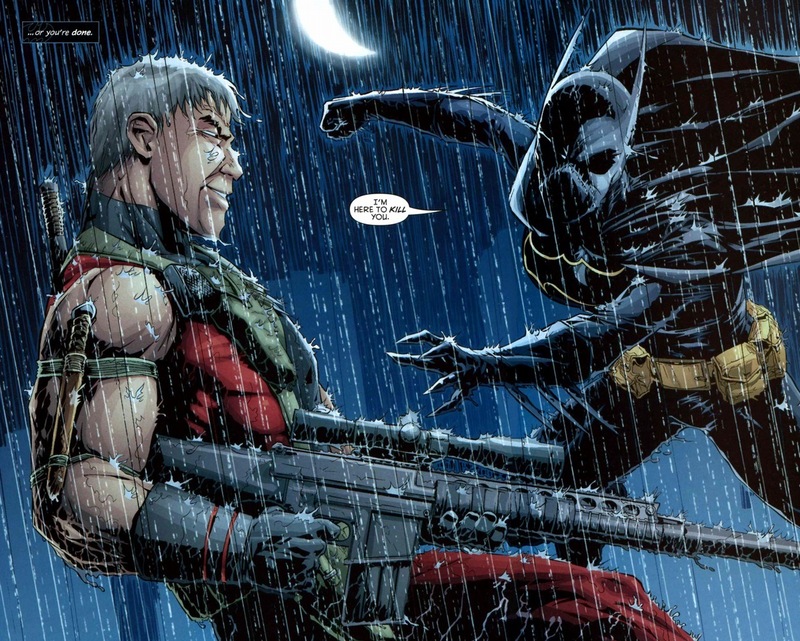 Actually, Batgirl (and Ravager) fought Deathstroke a few issues back, but that’s for another time. 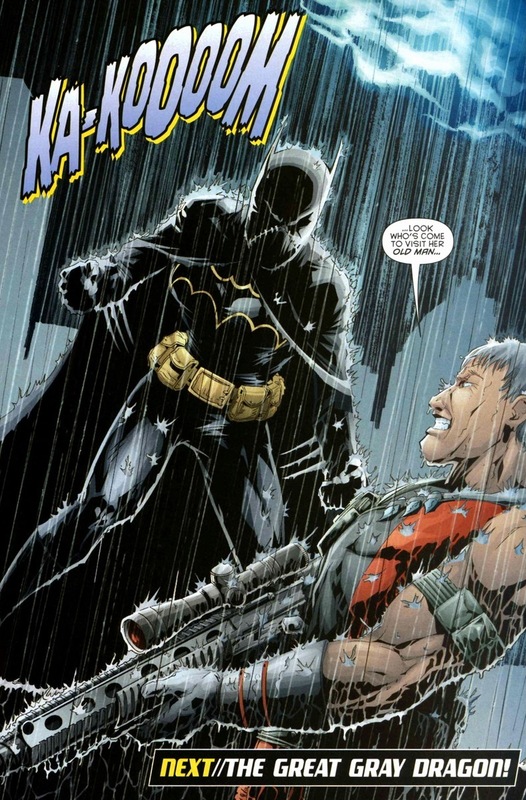 Batgirl stopped Cain from killing Oracle, and now she has to take out her father one final time. Recently, Cain and Deathstroke drugged her and made her kill dudes again, causing a rift in the Batfamily, so Batgirl figures one more death won’t add much to the pile. Also, Cain deserves it. 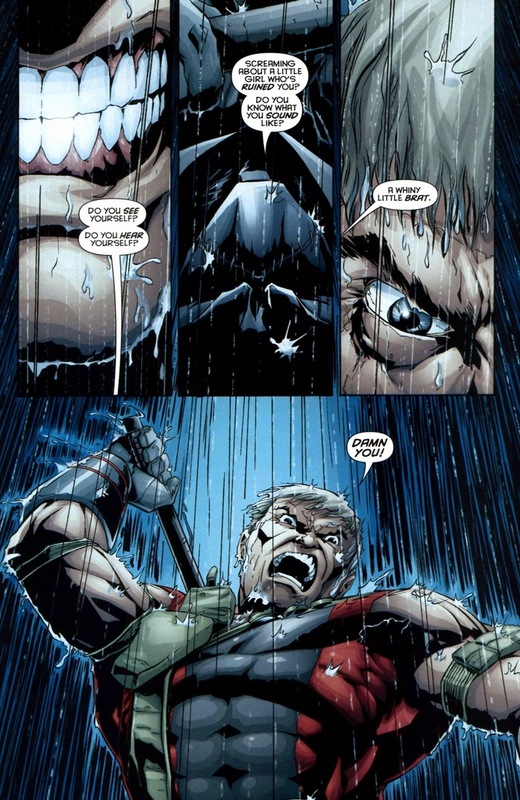 I want you to know that while Cain’s about to murder his daughter that he trained/raised since a child, it still hurts him. Like it would hurt us if we had to shoot children, y’know, assuming we’re all insane evil sociopaths. 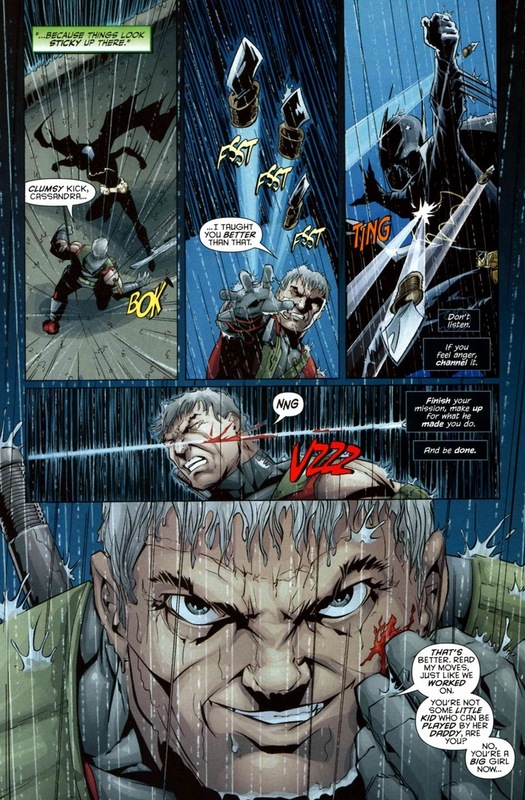 The whole arc includes themes about the idea of right versus wrong when it comes to killing. 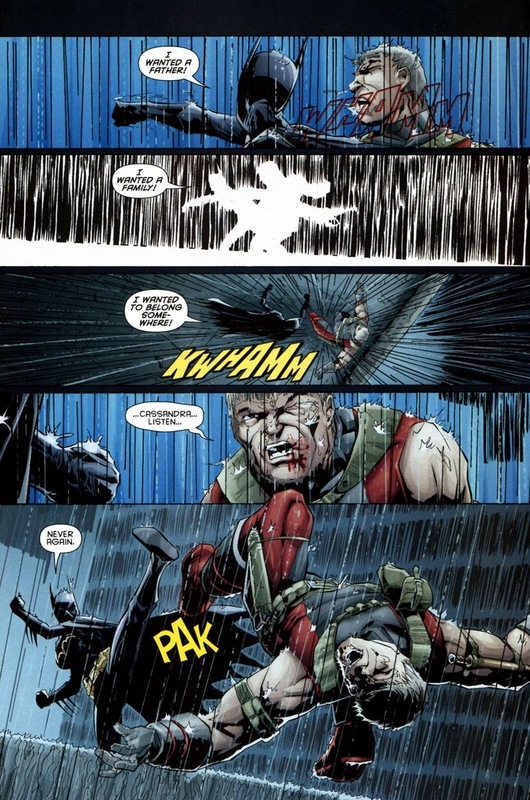 It’s an idea that pops up in every other Batman issue and also, truthfully, can only exist in the fictional world of comic books. But one thing we can’t argue: Cain gave Cassandra a terrible childhood. Turns out old mercenaries can learn new tricks. 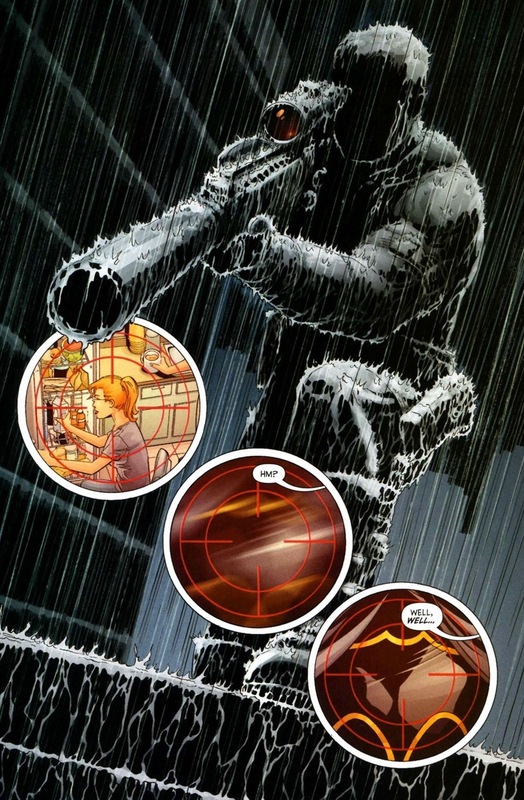 As in Batgirl needs to give her father a stark dose of reality (mixed with attacks because of superhero law), and what better environment than on top a lonely rooftop building in the pouring rain? If only a solo cello player on the rooftop next to them could crescendo his sad song during these next few moments. 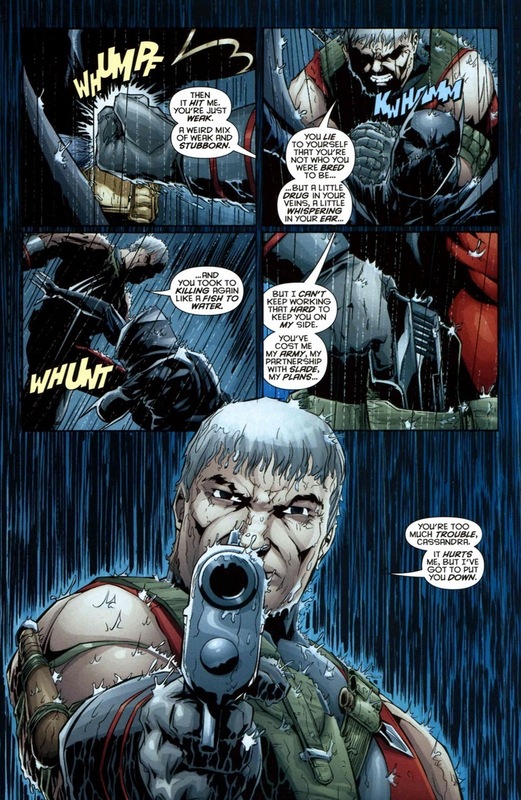 Those last three text boxes also made up the last moments of Batman Begins. Let movie Batman do what he wants. 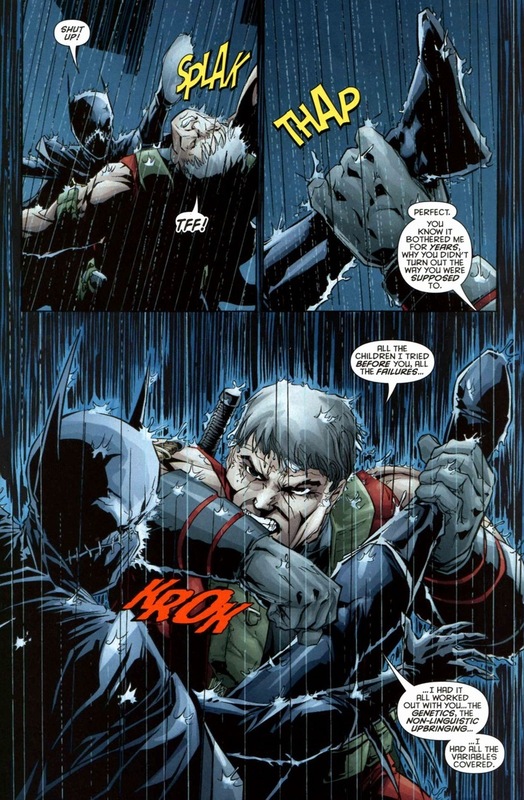 We know comic Batman would have saved Ra’s al Ghul, partially out of his moral code and partially so writers can reuse the supervillain at a later time. But Cassandra has grown since her first appearance in No Man’s Land roughly ten years before this. She’s a bonafide superhero with superhero principles and morality. 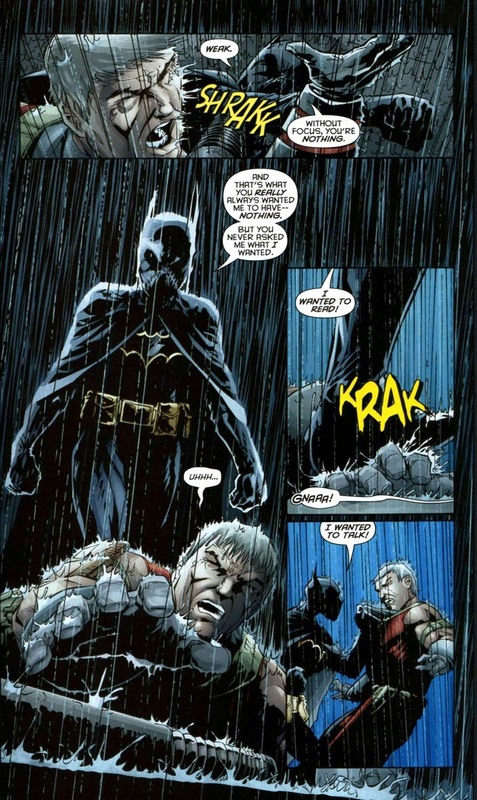 And yes, Batman’s influence strikes much harder than having henchmen pee themselves when he crashes through a skylight. Okay, so this last page is heartbreaking. 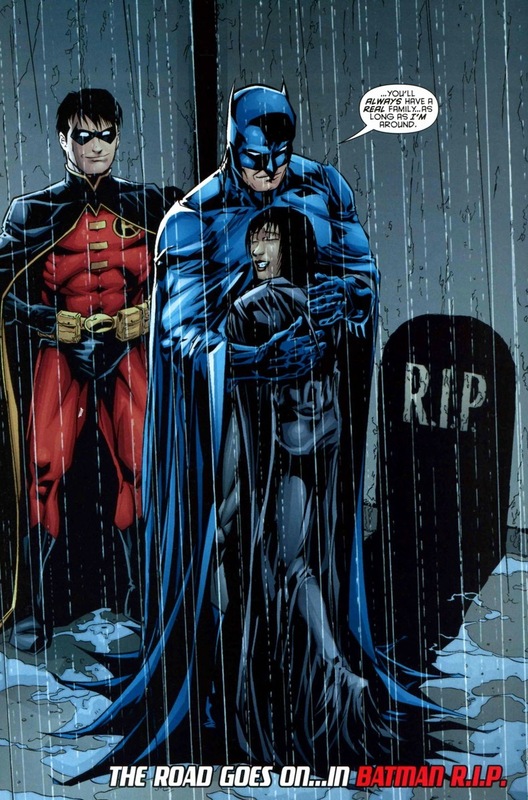 Bruce Wayne never adopts her. 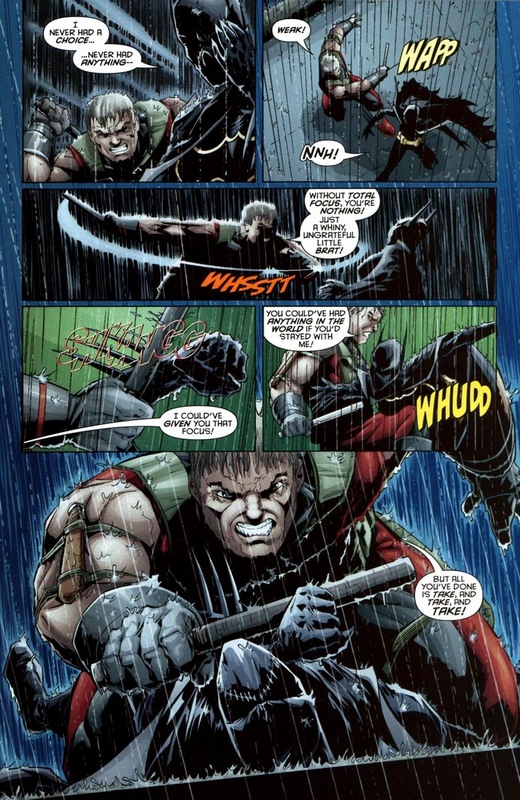 He dies soon after this, the DC universe reboots, and Cassandra disappears from continuity. But that’s the way the comic book business goes sometimes. Go buy this miniseries, you should treat yourself.